On the frozen barrens of a remote Norwegian archipelago, you discover what for many adventurous travelers is the final dimension of the Earth’s beauty. After journeying across a pristine landscape of ice and snow, scanning the jagged peaks on the far horizon, your appreciation for the planet’s extremes – from parched deserts to lush rainforests to vast oceans – is somehow complete. There’s only one added element that could elevate the experience further: witnessing a total solar eclipse in the flawless Arctic sky. TravelQuest invites you to join us at the top of the Earth for an eclipse adventure unlike any we’ve undertaken before. On March 20, 2015, join our select group of international travelers at 79° N and experience 2 minutes and 24 seconds of totality from an ideal viewing site alongside a dramatic fjord. 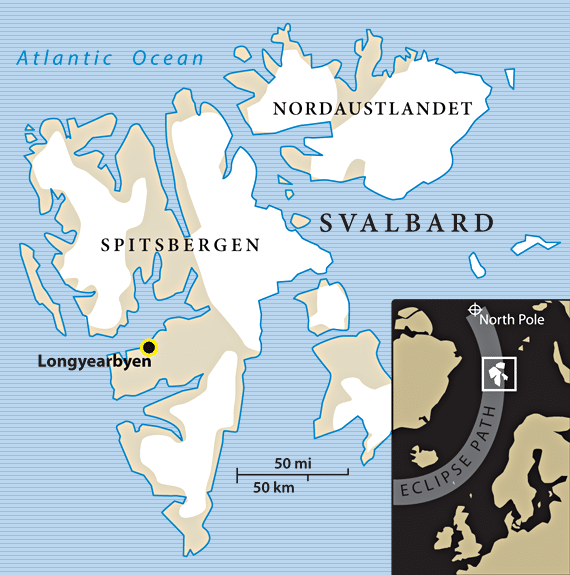 Home base for our Svalbard Arctic Eclipse adventure is Longyearbyen, a tiny village (pop. 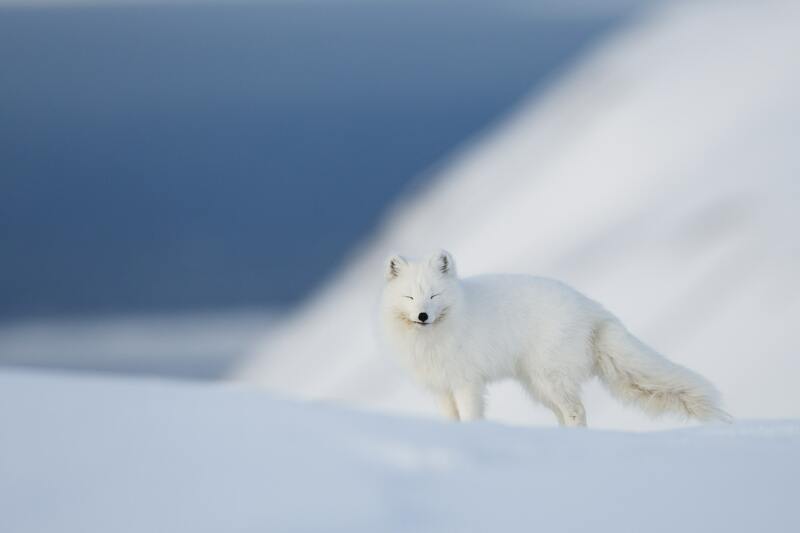 2,800) on the island of Spitsbergen, less than 1,100 km (700 mi) from the North Pole. Here, during your 4-night stay, you can try your hand at dog sledding, explore a spectacular glacial cave and journey by snowmobile over pristine white landscapes. Each night, you can venture outside the village in quest of the incredible aurora borealis, whose shifting, multi-hued “dancing curtains” of light must be seen to be believed – and captured by your camera, of course, to share with friends. Then, on March 20, experience the total solar eclipse from a spot near our hotel – an opportunity of a lifetime. Since Dutch explorer Willem Barentsz landed here more than 400 years ago, the Svalbard archipelago has been Scandinavia’s gateway to the High Arctic, welcoming adventurers from around the globe. It’s the perfect place to gather with TravelQuest eclipse chasers as we witness one of nature’s most incredible spectacles on the threshold of the Pole.